Otis Birdsong visited us at Ziamond Cubic Zirconia CZ Jewelers. 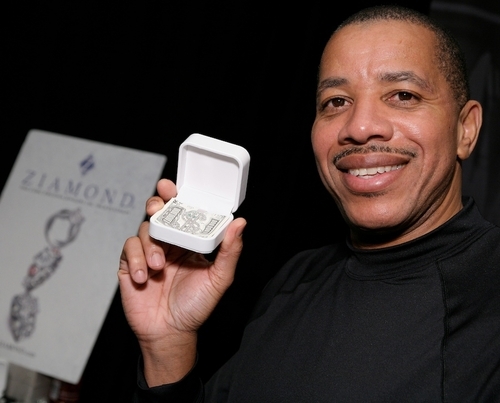 Otis is pictured with a Ziamond cubic zirconia cz dollar sign money clip. Ziamond offers the finest hand cut and hand polished cubic zirconia cz available. All Ziamond cubic zirconia cz jewelry is set in 14k gold, 18k gold or platinum.